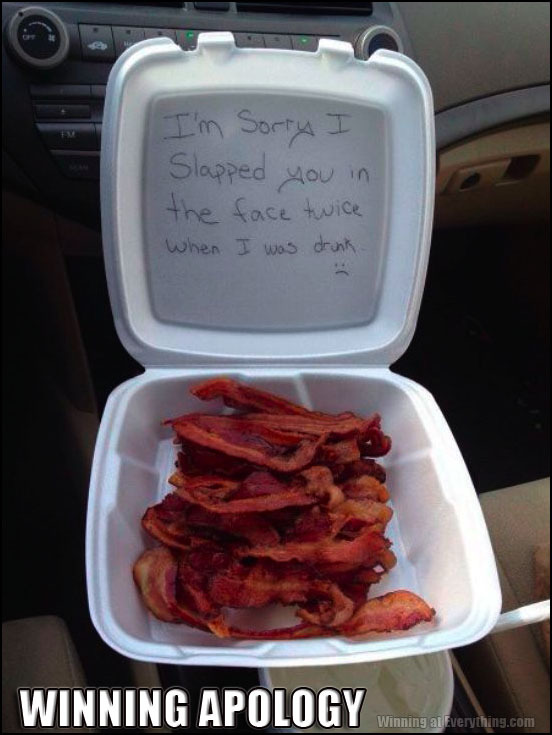 Slap me with bacon as many times as you want. I’d hold out for some lettuce, tomato, and bread. And some mayo. By the way, is this in Ray Rice’s car?